Welden Property Management are an independent, Devon based firm, priding themselves on giving professional, friendly, trustworthy property advice and service. They have been established in the town of Tiverton since 2001. Welden property had been trading for several years without a dedicated website. In order to compete in the busy housing and rental market it was therefore necessary to invest in a suitable web presence. Welden's new CMS website is now able to showcase their services to a much wider audience. It provides an intuitive, variable radius property search interface and allows visitors to quickly access, print and share contact and enquiry details. 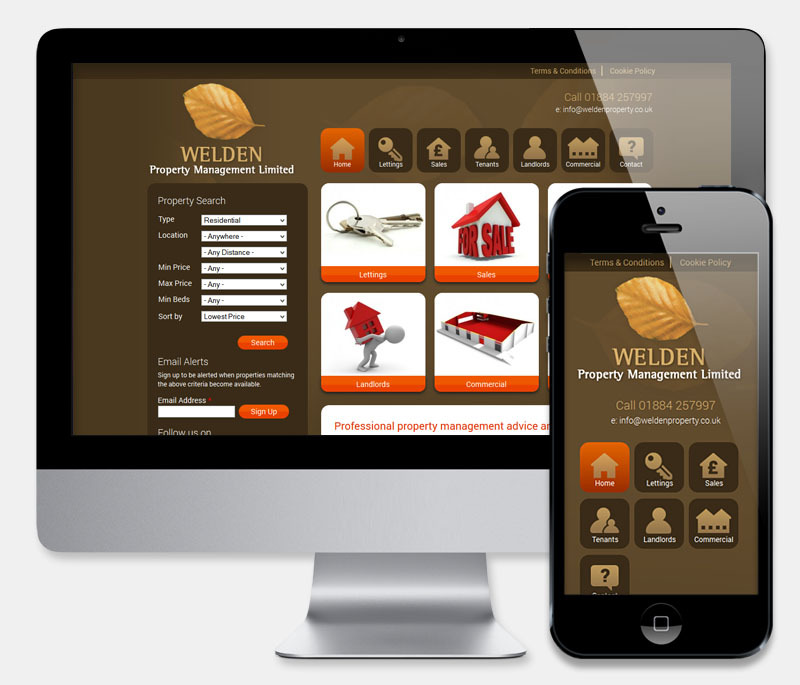 The website also interfaces with Welden's existing property database system, ensuring that all property entries are renewed immediately. As with many sites, particular attention was paid to geographical SEO, especially important with this market sector. Design included an existing logo and colour palette which we incorporated into a fresh looking site and business card. Iconography was used to create a user friendly homepage and to aid the high speed browsing necessary for this type of site.